We are thrilled about the upcoming royal birth. I am sure that Prince Harry and Meghan Markle are going to have a beautiful and stylish baby who steals the spotlight. 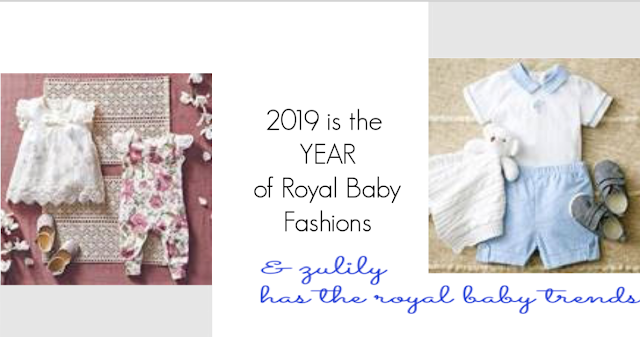 In celebration of the Royal Baby, today's post shares Royal Baby fashion tips from Erica Williams (the Senior Buyer of Infant Apparel at zulily) and points you to the latest fashions that are perfect for the Royal Baby in your life, but also within budget. I love Erica's tips. She is really amazing at staying on top of the latest trends and has a long history in the industry as she has partnered with hundreds of brands (such Hudson Bay, Aden and Anais, and Laura Ashley), helping to launch thousands of products, specifically for babies. In any case, I look forward to learning more about Meghan's baby style! I will continue to watch zulily's website for the latest baby products!